Shopping for Spider-Man Travel Cups? Spider-Man swings and Spider-Man rocks! 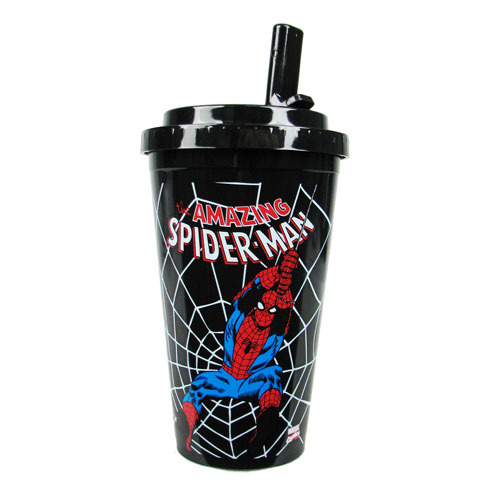 With a flip-straw top, this amazing Spider-Man Swings Plastic Flip-Straw Travel Cup holds 16 ounces and features an action-packed image of Spidey, his web, and the Spider-Man logo. Ages 12 and up.